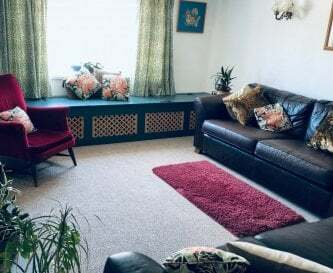 Conwy Valley Barn, Tal-y-bont, Conwy, Wales, sleeps 2-22 in 4 bedrooms. This is a lovely informal location for office away days, informal meetings and as a base for a fantastic team bonding event. Conwy Valley Barn is set in the heart of the Snowdonia National Park and is just a short walk from Surf Snowdonia, a perfect venue for some team building fun. 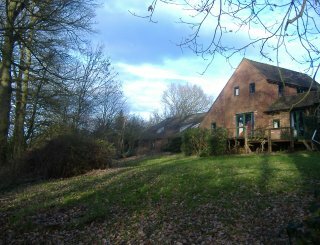 Located on a working organic farm, colleagues will love the peaceful surroundings and enjoy a barbecue or campfire near the babbling stream, an ideal head clearing space. Indoors, the bunkhouse offers a large kitchen, well equipped for preparing group meals with dining for 20. The dining area is an ideal venue to hold whole group meetings and the comfortable lounge space great for sharing thoughts and ideas over a cup of tea or coffee next to the log burning stove. The bedrooms are dorm style, for 4, 6 or 10 individuals with adequate bathroom facilities, with space for 2 more in the cottage. North Wales is full of places of historical interest, as well as beautiful gardens, the coastal path and several charming and bustling market towns. Furthermore, there are so many outdoor activities available for group participation right on the doorstep of Conwy Valley Barn in the adventure capital of the UK. Open plan dining/sitting. Seating for 20. There is no games room, but there are books and board games. Central heating and an open log fire. Three bedrooms of 4, 6, and 10. The bedrooms sleeping 4 and 6 have their own toilet and wash basin. Optional. We can provide linen if required. Located beside a river with an open barbecue and camping area. 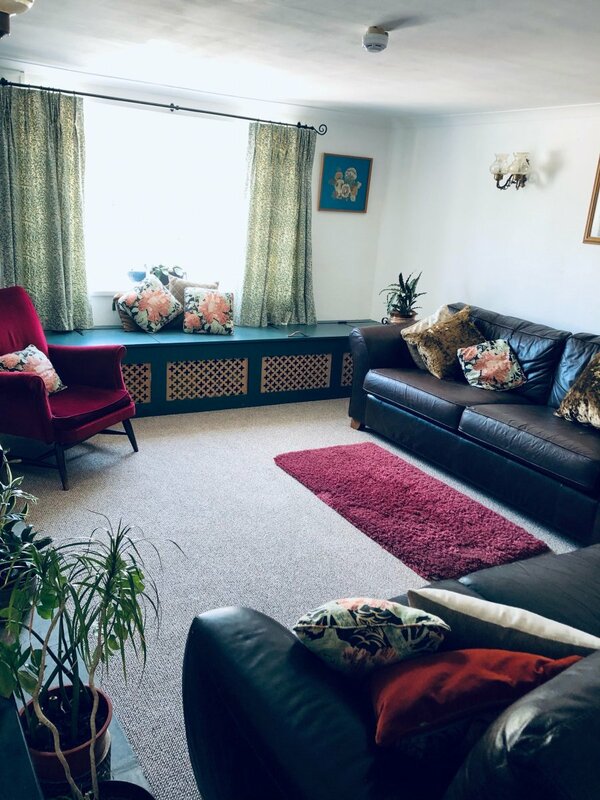 In the heart of the Conwy valley with excellent access to the highest mountain in Wales, Snowdonia, it is the ideal place for restoration and relaxation. Village shop 5 mins walk. Supermarket in Conwy 5 miles away. 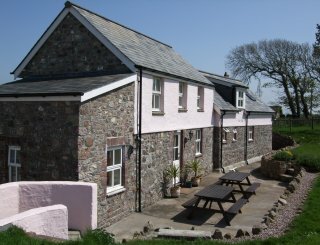 3 mins walk to a choice of 3 pub/restaurants. Individuals in barn: £20 per night (includes bedding and light breakfast). Duvet hire: £3.50 per person. Camping available for £8 per person/per night (shower cabin on site). Large flat field (and mostly sunny). Llandudno Junction from Chester, Crewe and London. Main line. By the gate from Conwy to Llanrwst. Please get in touch with your group details for our prices.